7am - 12noon and 4pm-7pm. $8.00 per gallon. CASH ONLY. Change made for no larger than $20.00 . Children must stay with and be supervised at all times by the adults who brought them. Check website for details, dates, times, directions before you come to pick. When we will be open depends on fruit availability, therefore, it is suggested to start checking website in May for when we will be open. We provide buckets for picking. BE PREPARED: Closed shoes required. > Protect yourself against sun exposure, wearing a hat is suggested. > Water provided. Bring other beverages. > There are picnic tables and benches in shade for your convenience. hot weather, uneven ground, insects, etc., and other conditions of nature. 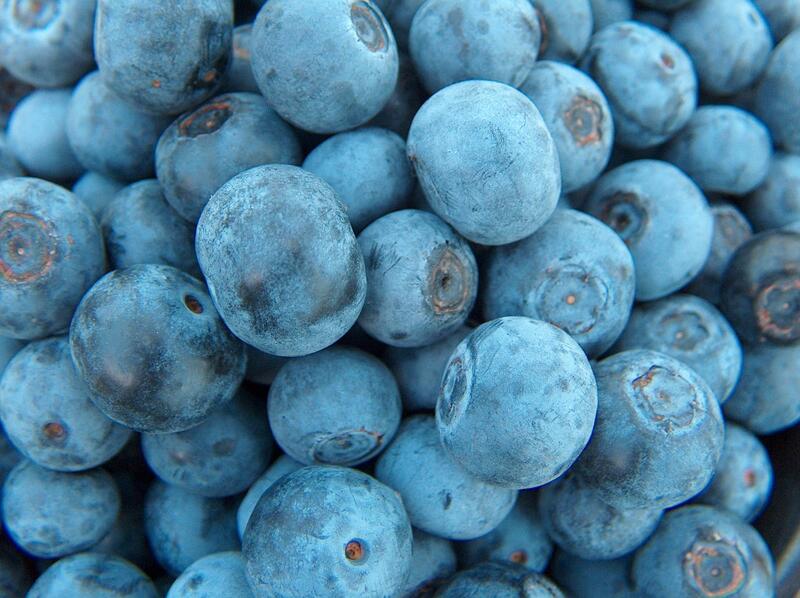 We are a member of the Gulf South Blueberry Growers Association and the North American Blueberry Council. Recipes are posted on this website. Note: Usually picking season duration is around 30 days. 2018 First picking day was May 17, 2018. 2018 Final picking day was June 19, 2018. 2018 picking season duration was 34 days.